Friday the 19th of December marks National National Look For an Evergreen Day, presumably a celebration of all things Christmas Tree-like. If you still haven't got round to getting a hold of a Christmas Tree, now is probably your last chance (and you're leaving it a bit late surely?!) According to statistics, artificial trees outsell real Christmas trees, but there are still millions of the evergreen Christmas trees sold around the globe every year. There is something pretty magical about a fully decorated tree, real or otherwise, lit up in your cosy living room on a chilly and dark winter's eve. To celebrate Look For an Evergreen Day, we're taking a look at three of our festive bouquets which would be best suited to complementing your Christmas Tree. Our resplendent Christmas Rosmeria bouquet boasts a fresh array of festive roses and alstroemeria with beautifully glitzy gold-painted cones. 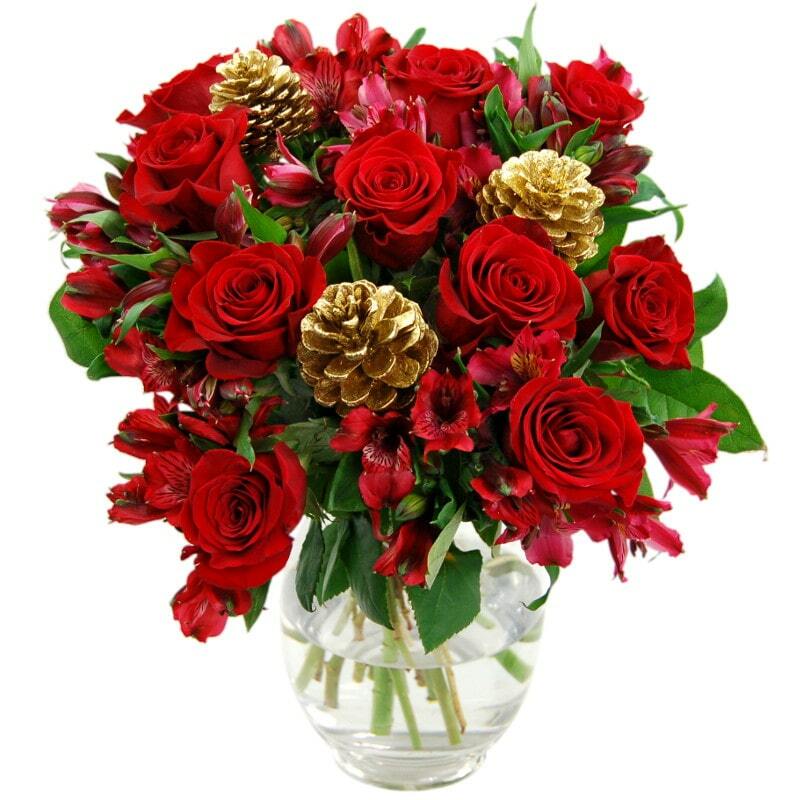 Showcasing a wonderfully decorative feel, this glamorous bouquet would look right at home amidst your other Christmas decorations and would be just the thing to place on the dinner table if you're having all your friends and relatives over for dinner on the 25th. 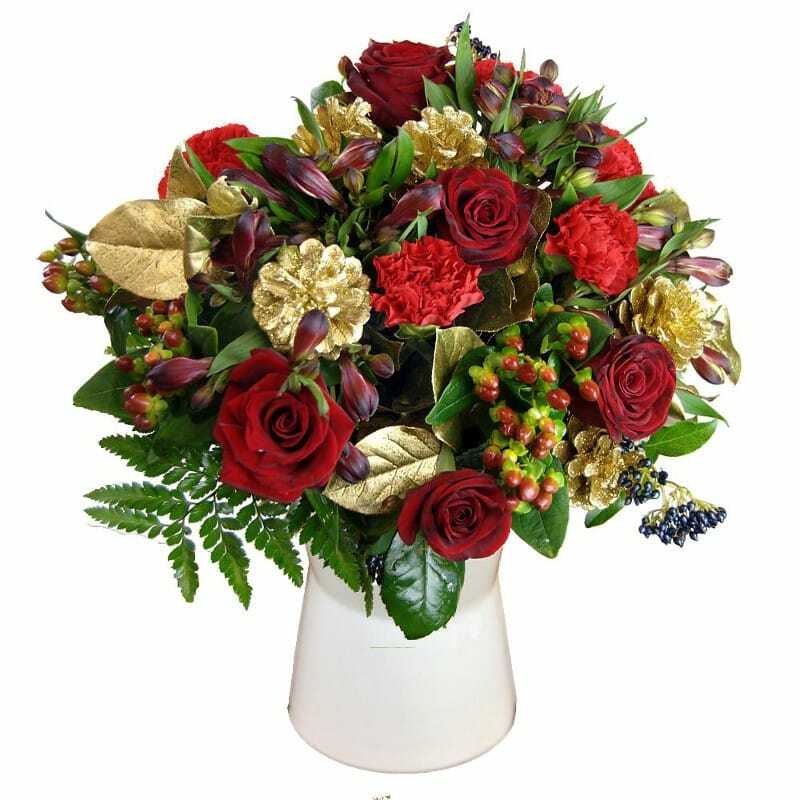 All That Glitters isn't gold; take this fantastic festive bouquet for example. Consisting of winter alstroemeria, roses and carnations with decorative gold pine cones, the All That Glitters Bouquet perfectly embodies the spirit of the season. As well as using this bouquet to decorative effect, it would also make for a wonderful gift to bestow upon a loved one. 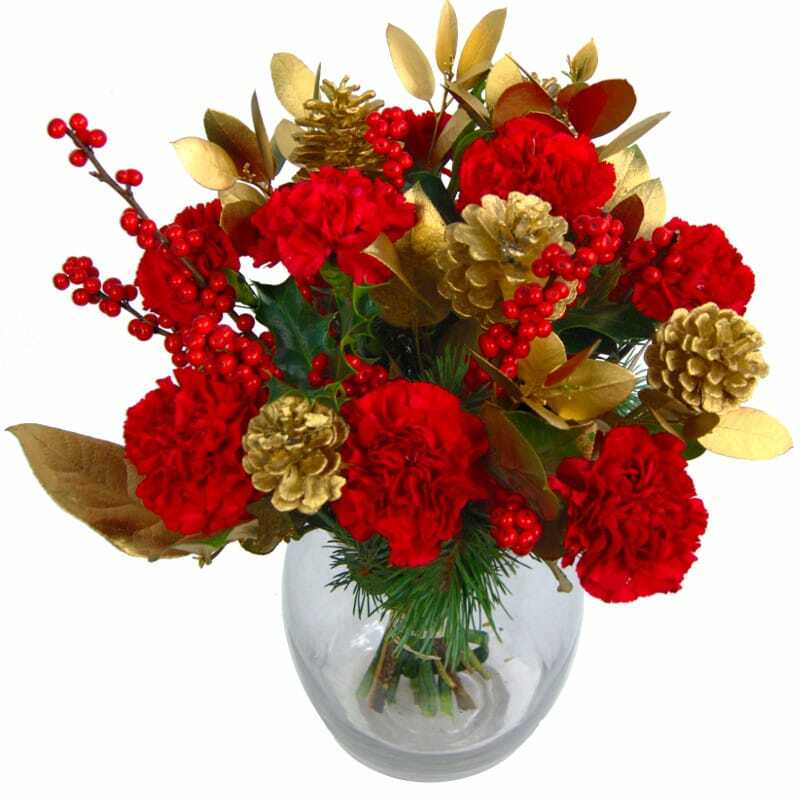 Last but by no means least is our exuberant Christmas Cracker bouquet, notable for its visually arresting selection of carnations, red ilex berries and glittering gold painted pine cones. This splendid bouquet would look lovely alongside your Christmas tree as well as your lighting and other festive decorations. Don't forget - we offer free standard next day delivery on all orders. If you are intending to order flowers as a Christmas gift, you can customise your purchase with optional extras including a vase, handwritten cards and chocolates for that extra special touch. Merry Christmas!